qTrace 2.0 comes with a great many new features. Last week, I posted about the continuous recording mode, which makes exploratory much pleasant. This week, I want to share with you two other useful features of qTrace 2.0, those that have been asked for by many qTrace customers. Once you’ve done that, select the tracker type of this connection, give it a name and input URL, user name and password. Any newly created connection is automatically set as default connection, meaning when you click Submit button, qTrace will use that connection instead of requiring you to clicking the dropdown arrow and choosing one. Note that you can also easily edit or delete a connection or change the default connection in the Defect Trackers tab. Note that when upgrading to qTrace 2.0, all your existing connections will be automatically migrated, so you don’t have to worry about having to reenter connection settings. Another issue many customers reported having is that qTrace did not work with their proxy servers. Previous versions of qTrace required proxy information to be configured in Internet Explorer. 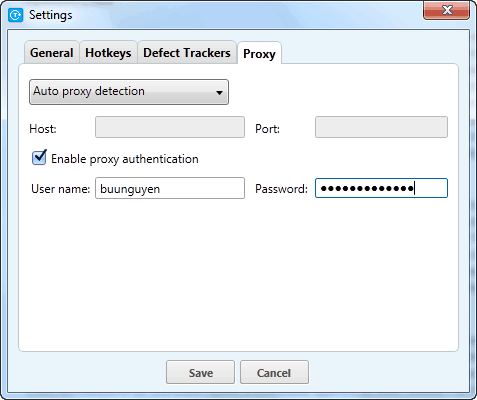 In addition, qTrace doesn’t support proxy which requires user authentication. In qTrace 2.0, not only do we still support automatic proxy detection (from Internet Explorer) but we also support manual proxy configuration as well as support proxy authentication. Go to Settings and select Proxy tab, you’ll see the Proxy settings. 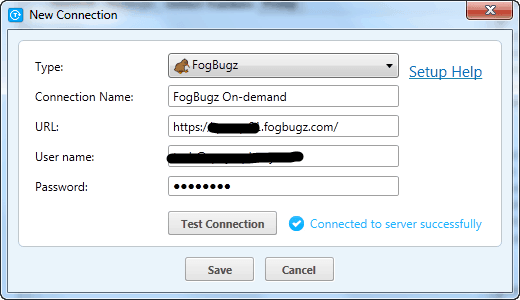 If you don’t have proxy or have already configured proxy in Internet Explorer, select “Auto proxy detection” and optionally enter authentication information. Otherwise, select “HTTP proxy” and input proxy host/IP, port and optionally authentication information. Now, whenever connecting to a defect tracker or qTrace auto-update service, qTrace will connect through the proxy configured (or directly to the network if there’s no proxy). Note that when you first run qTrace and activate it, if qTrace cannot connect to QASymphony activation server, qTrace presents you the option to retry immediately or configure proxy settings before retrying. If you choose the latter option, you’ll work with this same dialog. I hope you find these features useful. Again, here’s the link to download qTrace 2.0.